The bizarre Phil Spector case has ended with a mistrial; the jury unable to decide whether he was guilty or innocent of murder. "Simply put, there was rock 'n' roll before Phil Spector and then there was rock 'n' roll after Phil Spector," says Geoff Boucher, a writer for the Los Angeles Times. Phil Spector was born into a Jewish family in the Bronx, 1939; but following his father's suicide in 1949, Spector and his mother and sister moved to Los Angeles in 1953, where he first became involved with music. Years later he'd reinvent rock 'n' roll; influencing everyone from The Beatles to Bruce Springsteen. 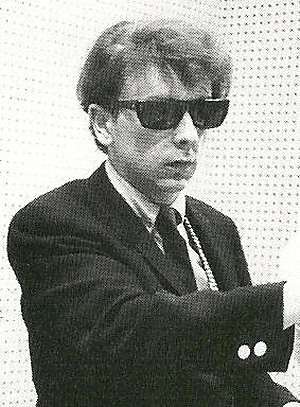 The originator of the famous "Wall of Sound" production technique, Spector pioneered the girl group sound of the 60's with his work with The Ronettes. Spector produced everyone from Leonard Cohen to The Ramones to Ike and Tina to George Harrison. Spector co-wrote "You've Lost That Lovin' Feelin'" for The Righteous Brothers. This song held the title for most U.S. radio airplay in the 20th century! Spector was already known as a temperamental and quirky personality with strong, often unconventional ideas about musical and recording techniques. Despite the trend towards multi-channel recording, Spector was vehemently opposed to stereo releases, claiming that it took control of the record's sound away from the producer in favour of the listener. Spector also greatly preferred singles to albums, describing LP's as, "two hits and ten pieces of junk". 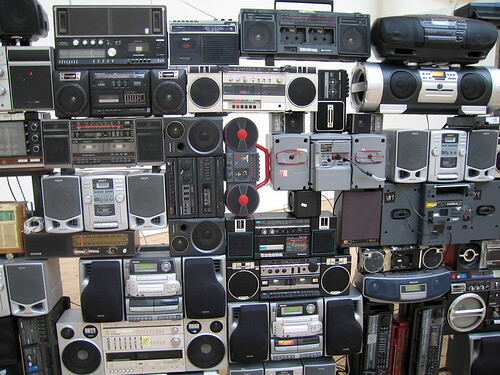 Spector's trademark, the so-called Wall of Sound, was a production technique yielding a dense, layered effect that reproduced well on AM radios and jukeboxes. To attain this signature sound, Spector gathered large groups of musicians (playing some instruments not generally used for ensemble playing, such as electric and acoustic guitars) playing orchestrated parts — often doubling and tripling many instruments playing in unison — for a fuller sound. "Phil couldn't resist annihilating me. I don't think he can tolerate any other shadows in his darkness." The Ramones reportedly had to play the opening chord to the song, "Rock and Roll High School", for eight hours straight; years later, Johnny Ramone described Spector as "a little man with lifts in his shoes, the wig on top of his head and four guns". But he also described the session philosophically: "It was a positive learning experience. And that chord does sound really good." Marky Ramone said, "A lot of these things were overblown, and a lot of these things were alcohol-induced." In 1970, Allen Klein, manager of The Beatles, brought Spector to England. While producing John Lennon's hit solo single "Instant Karma! ", which went to #3, Spector was invited by Lennon and George Harrison to take on the task of turning the Beatles abandoned "Get Back" recording sessions into a usable album. Spector went to work using many of his production techniques, making significant changes to the arrangements and sound of some songs. The resulting album, Let It Be, was a massive commercial success and yielded a #1 single, "The Long and Winding Road". Although viewed as a major creative comeback for Spector, it may also have contributed to the contentious Beatles breakup, as Spector added what some considered inappropriate choir and orchestral arrangements to Lennon's "Across the Universe", and Harrison's "I Me Mine". His overdubbing of "The Long and Winding Road", infuriated its composer, Paul McCartney, especially since the work was allegedly completed without his knowledge and without any opportunity for him to assess the results. In 2003, McCartney spearheaded the release of Let It Be... Naked, which stripped the songs of Spector's input. Many producers have tried to emulate the Wall of Sound, and Brian Wilson of the Beach Boys—a fellow adherent of mono recording—considered Spector his main competition as a studio artist. Bruce Springsteen emulated the Wall of Sound technique in his recording of "Born to Run". His comments about "LPs" and mono vs. stereo are fascinating and in some respects, dead on.